Ich armer Mensch, ich Sündenknecht (I, wretched man, a servant to sin), BWV 55, is a church cantata by Johann Sebastian Bach. He composed it in Leipzig for the 22nd Sunday after Trinity and first performed it on 17 November 1726. Bach wrote the cantata, a solo cantata for a tenor, in 1726 in Leipzig for the 22nd Sunday after Trinity and performed it first on 17 November 1726. 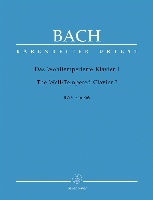 It is Bach's only extant cantata for tenor. The prescribed readings for the Sunday were from the Epistle to the Philippians, thanks and prayer for the congregation in Philippi (Philippians 1:3–11), and from the Gospel of Matthew, the parable of the unforgiving servant (Matthew 18:23–35). The unknown poet of the cantata text stressed the opposites of the gospel, God's justice versus unjust men, in the words of the first aria "Er ist gerecht, ich ungerecht" ("He is just, unjust am I"). In the first two movements the singer reflects his sinful condition, in the following two he asks God for mercy, beginning both with Erbarme dich ("Have mercy"). 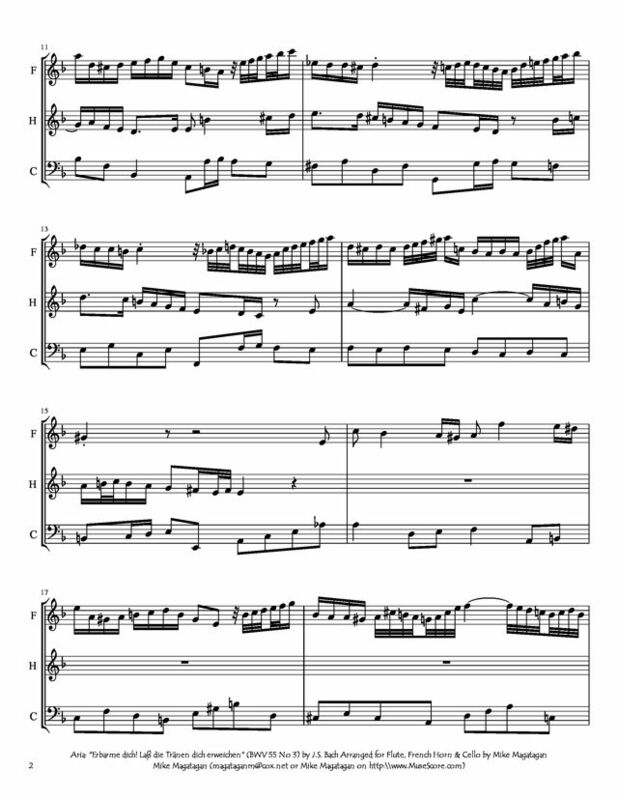 The following closing chorale is verse 6 of Werde munter mein Gemüte of Johann Rist (1642). Bach used the same verse later in his St Matthew Passion, again following Erbarme dich, the aria of Peter, regretting his denial of Jesus. A rich polyphonic setting for flute, oboe d'amore and two violins, without viola, accompanies the opening aria. The motifs seem to illustrate the faltering steps and a despairing heart of the steward summoned before his master. 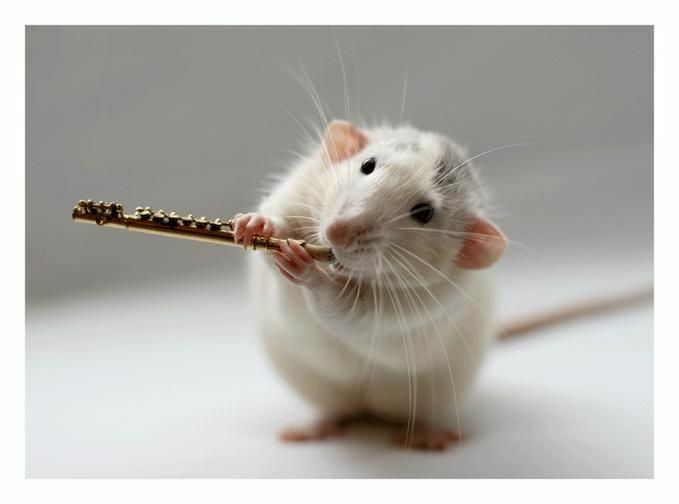 The second aria is as expressive, accompanied by a virtuoso flute. The first recitative is secco, but the second one accompanied by string chords. The closing chorale is the same text and melody as in the St Matthew Passion, here in a simpler four-part setting. 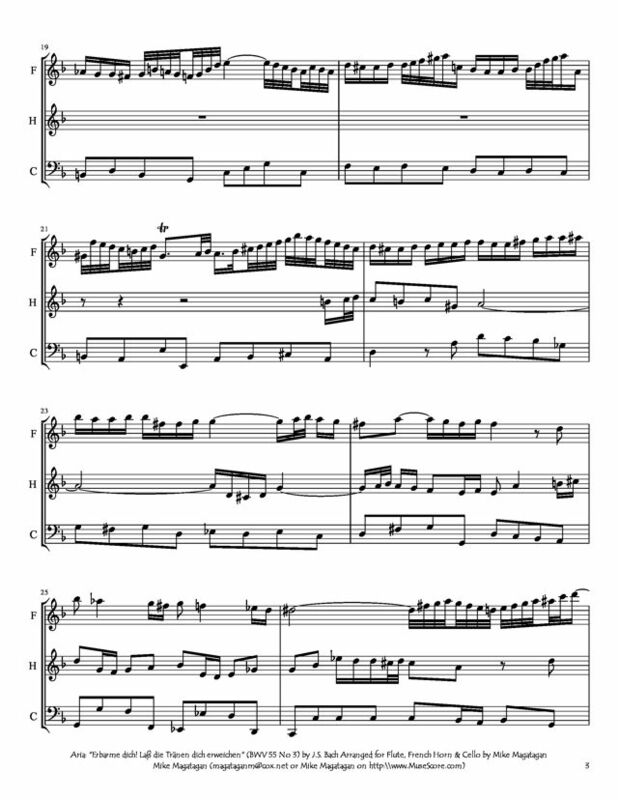 Those two occurrences are the only ones of the text, whereas the melody was used frequently in other contexts, best known in Wohl mir, dass ich Jesum habe closing in two verses both parts of Herz und Mund und Tat und Leben, BWV 147. Commentators have concluded from the autograph that the last three movements were originally part of an earlier untraced composition for Passiontide, possibly the lost 1717 Weimar Passion. 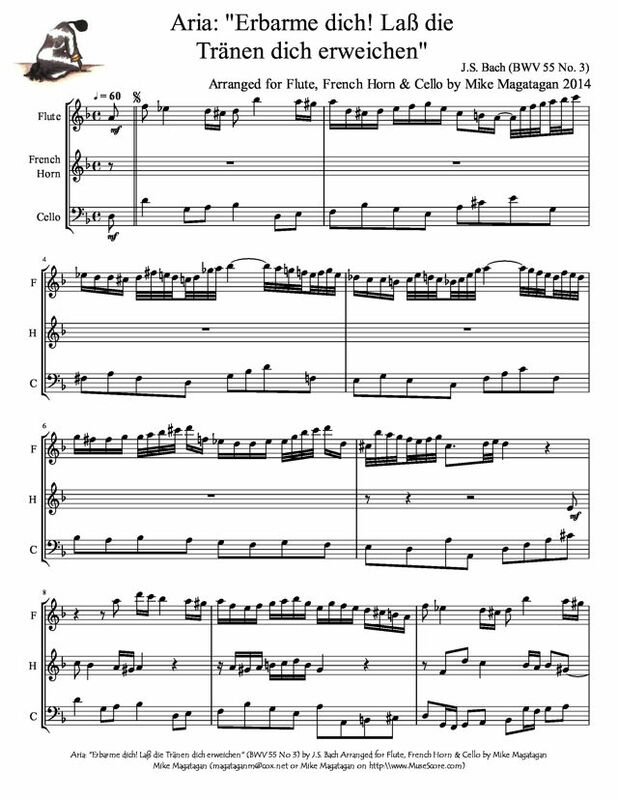 The cantata in five movements is scored for a tenor soloist, a four-part choir (only for the final chorale), flauto traverso, oboe d'amore, two violins, viola, and basso continuo. I created this arrangement of the Aria: "Erbarme dich! Laß die Tränen dich erweichen" (Have mercy! Let my tears move Thee) for Flute, French Horn & Cello.